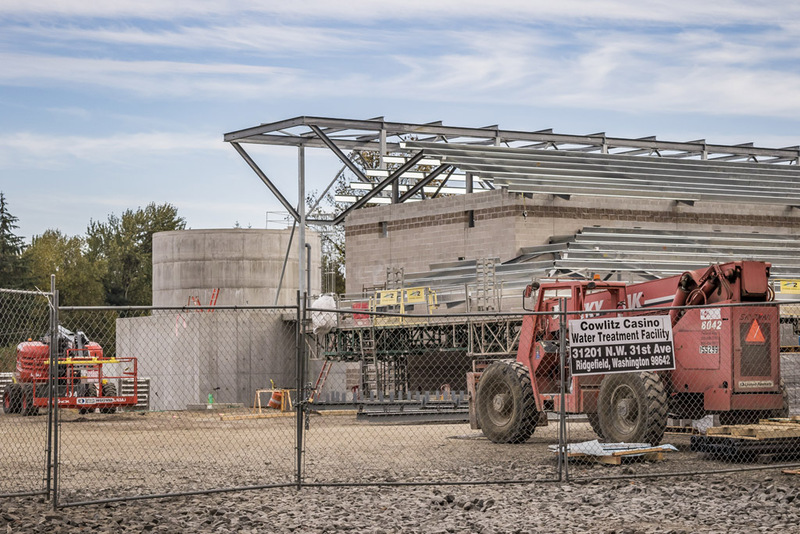 LA CENTER — The state-of-the-art wastewater treatment facility being built on the Cowlitz Indian Reservation near La Center is more than halfway toward its completion and expected to be online by March 1, 2017. Once complete, the water reclamation plant will be able to treat between 70,000 and 100,000 gallons of wastewater per day and serve the ilani casino-resort, which is expected to open in April of 2017. Eventually, the plant will serve a hotel and convention center — both part of the ilani casino-resort project — and the Cowlitz Indian Tribe’s new headquarters. 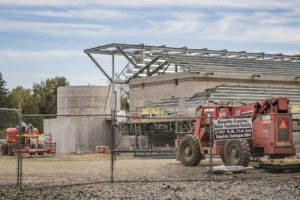 Michael Ollivant, a project design and consulting engineer with Parametrix, Inc., the company designing the water reclamation plant, said earlier this year that the new wastewater treatment plant is “a very robust system” that exceeds the minimum requirement for the Environmental Protection Agency’s wastewater permitting process. Parametrix has designed similar projects throughout Washington, including the Nisqually Indian Tribe’s environmentally conscious, “zero waste” plant, which Cowlitz Indian Tribe Chairman Bill Iyall says is the “sister project” to the Cowlitz tribe’s water reclamation facility. Using membrane technology, the plant essentially takes wastewater back to drinking water standards before injecting the clean water 120 feet into the ground via a Class V injection well, where the water will pass through even more filtration before entering the groundwater system.